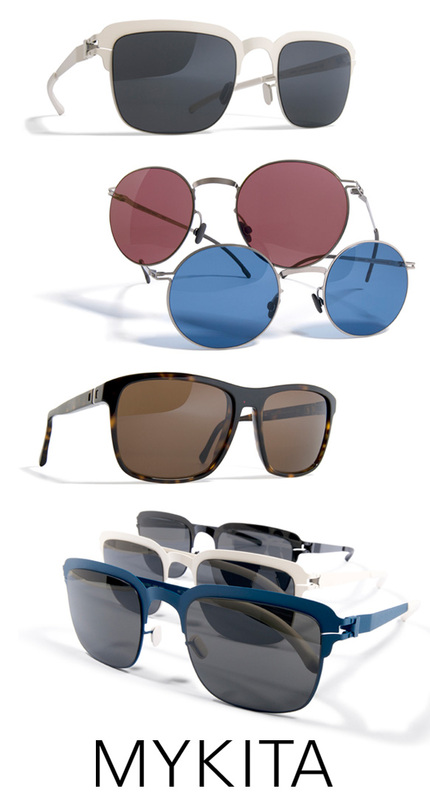 MYKITA reinvents the past with ease as they debut their spring/summer 2012 collection. The varying styles are reminiscent of almost every decade from the roaring ’20s up to the fun and funky ’80s. Though the new additions echo some of our favorite sunnies from years past, each frame is infused with a modern touch for a sleek, updated feel. New age Clubmaster-inspired shades give off a futuristic vibe, while old school rounds with colored lenses lend a vintage touch. One thing is for sure, no matter which decade you loved the best, you’ll be looking shade-tastic in any of these new sunnies.